his versatility makes him an indispensable asset, while his charm makes him an unforgettable friend. 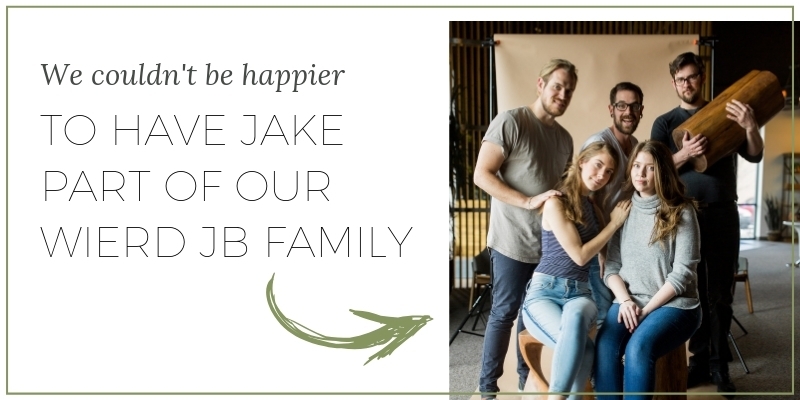 If you've received a package fulfilled by Jake, then you'd see how his picture below is representative of his personalized tagline he puts on your invoices "May peace be with you." 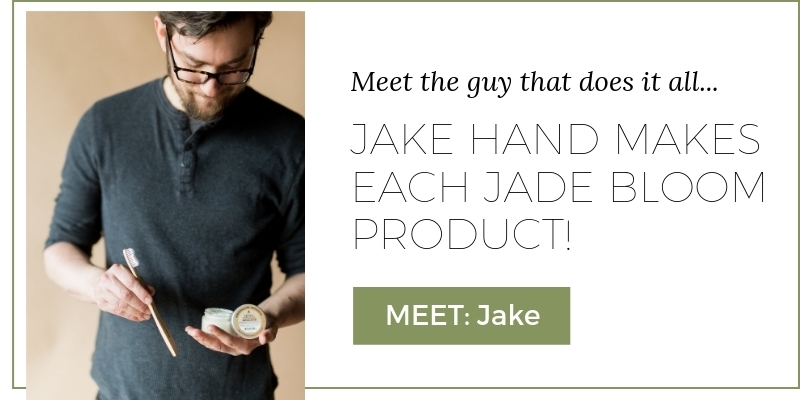 What is your favorite Jade Bloom product, and why? The toothpaste! I love that the toothpaste is a source of calcium for your teeth and that it’s fluoride-free. What do you do in your spare time? What do you wish you could do in your spare time? I like to pretend like I’m a carpenter in my spare time. Woodworking is really fun for me. I like to take raw lumber, create my own designs, and turn it all into functional furniture or a piece of art. Tell us your best joke. Why are natural products important to you? Because everything comes from the Earth. It’s the origin of all things, even the drugs, and chemicals we use in modern medicine. So when we’re trying to live in a healthy way, it makes sense to me that there’s room for natural products in that. If you could brunch with anyone, dead or alive, who would it be? And what would be on the menu? Carl Sagan - I find him captivating. I’m so intrigued by the way he views both life and the universe. We would eat breakfast foods. You can’t go wrong with breakfast. Favorite quote from your favorite movie. GO! Jade Bloom’s mission is to deliver Health, Healing, and Happiness to as many people as possible. What is YOUR mission statement? What is something you’re exceptional at? What is something you’re dreadful at? My Spirit Animal is Chip Gaines. That guy is awesome… That is all.